Grading and construction for The Village is set to start March 13, 2014, and the parking lot located at 1550 East 14th Street will close on March 12, 2014. Developer Innisfree Ventures has taken ownership of the 1.7 acre former Albertson’s site and will be begin construction of the The Village shopping center next week, with a grand opening scheduled for Fall 2014. 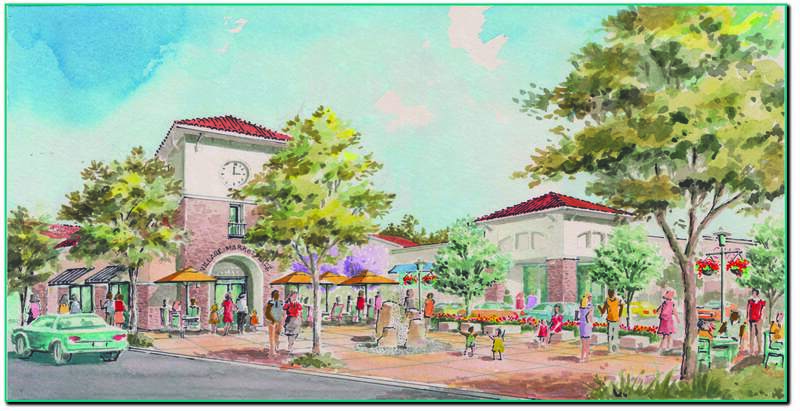 The Village is a privately-financed $10 million development that will energize the core of Downtown San Leandro. The property was temporarily used for replacement parking during the construction of the Downtown Parking Garage. The Village development includes three buildings which will house a new CVS pharmacy, Peet’s Coffee, The Habit Burger, AT&T and a yet to be identified tenant. High-quality architectural design elements will be incorporated in the exterior of The Village including stone work, arbors and trellises. The project also includes a plaza offering outdoor dining and free public WiFi, a fountain, art display panels, granite seat benches, decorative lighting with hanging flower baskets, bike racks, decorative paving, and new sidewalks. Trees planted along East 14th Street and decorative grates along street frontages will also add to the attractiveness of the Village.